WARSAW (Reuters) - Poland's richest man, Jan Kulczyk, died in Vienna on Tuesday from complications after surgery, a spokeswoman at Kulczyk Holding, the company he founded, said. He was 65. Kulczyk had for years topped the list of Poland's richest people, with Forbes Magazine estimating his assets this year at more than 15 billion zlotys (£2.5 billion). His business interests covered a range of industries, with a 3 percent stake in brewing company SABMiller his most valuable asset. A source said that Kulczyk's death was unexpected and the result of a routine medical treatment. Kulczyk Holding spokeswoman, Marta Wysocka declined to comment beyond saying he had died as a result of surgery complications in Vienna. Kulczyk, who had a doctorate in international law, took his first steps in business by setting up a trading company in 1981 known as Interkulpol. A few years later he became the first official Volkswagen dealer in Poland. Kulczyk held a significant stake in Poland's biggest telecom operator TPSA, now known as Orange Polska, after he bought shares in the company's privatisation in 2000. 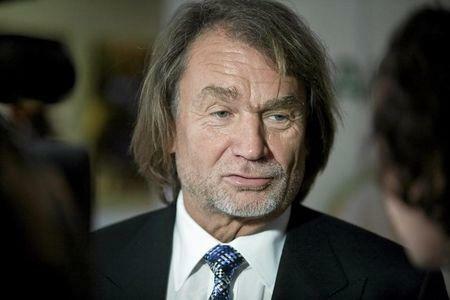 He was also a shareholder in Poland's biggest oil refiner PKN Orlen. Kulczyk's current assets include chemicals group Ciech, energy companies Polenergia and Serinus Energy and a number of international oil and gas businesses. Since the start of this year, Kulczyk had sold stakes in some of his biggest ventures, including Ophir Energy and Polenergia, raising questions about his future plans. Lech Walesa, Poland's former president, said Kulczyk had played a important role in the country's development. "He was so absorbed by work that he did not notice that his health was deteriorating. This is a pity," Walesa, commenting on Kulczyk's death, told public broadcaster TVP Info. Kulczyk has two children from his first marriage, Dominika and Sebastian. Sebastian has been supervising the family's business since the end of 2013 when he took up the position of chief executive at Kulczyk Investments, which holds Kulczyk's major assets. Kulczyk divided his time between Warsaw, London and Luxembourg and spent much of his time travelling, a person who knew the businessman said.